The original cards from the Larimer County Assessor are periodically transferred to the Archive after they are microfilmed for the Assessor's office. 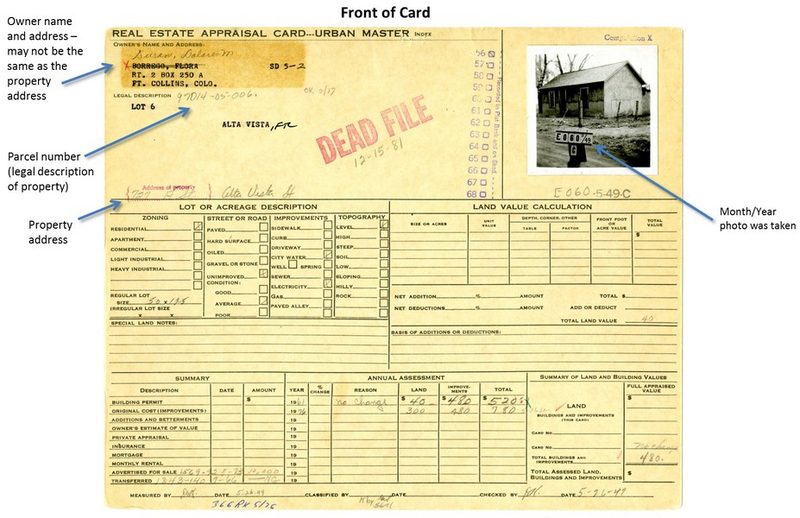 These cards date from 1948 to circa 1990 and include residential, commercial, and rural properties. They often feature photographs, construction details, and sketches of building footprints. Over 8,000 building photographs from these cards have been scanned and are available for online viewing. 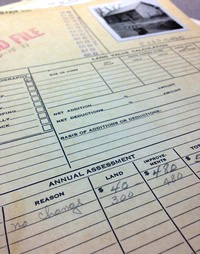 Tax assessor cards are also available for research by visiting the Archive. 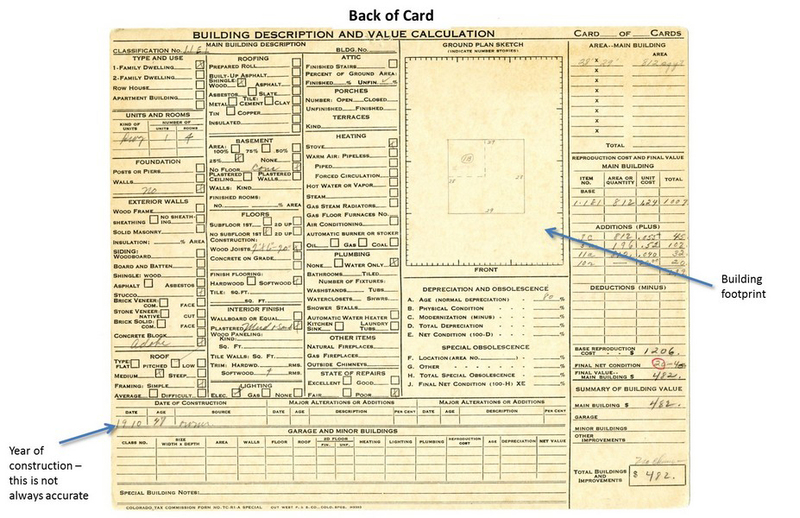 Some cards are filed by street address and kept in files at the Archive, but many addresses and rural areas are filed in boxes by their legal description (parcel number). View the inventory for the Tax Assessor Collection for more information. Cards for Berthoud, Estes Park, and Loveland are transferred to their respective libraries/museums.